WASHINGTON - Hours before he is set to deliver a State of the Union address that aides have said will strike a note of bipartisanship, President Donald Trump floated the idea of a "human wall" on the southwest border if Democrats reject his demands border security funding. "Tremendous numbers of people are coming up through Mexico in the hopes of flooding our Southern Border," Trump tweeted Tuesday. "We have sent additional military. We will build a Human Wall if necessary. If we had a real Wall, this would be a non-event!" The president's demand for $5.7 billion in border wall funding was at the center of the recent 35-day partial government shutdown. Trump agreed to reopen the government for three weeks without border money, and a bipartisan group of lawmakers is working to find a compromise to avoid another shutdown on Feb. 15. 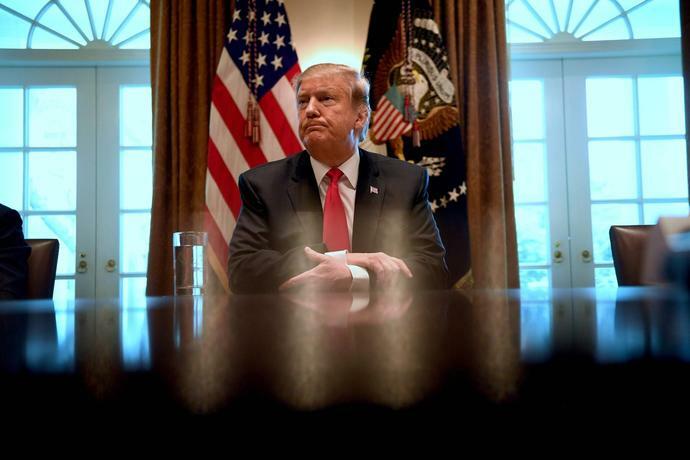 Trump has previously said he would declare a national emergency to get money for the border wall, which was one of his central campaign promises, if Congress doesn't act. The emergency declaration could free up billions for the wall, but would also draw court challenges.